Today is ABC Wednesday and, for this round, we've been featuring neighbohroods. For X, in the absence of an X neighborhood, we're featuring the newspaper. Two-hundred East Market Street, at the corner of Davie St., is the "x marks the spot' place from which news radiates to ALL the communities of Greensboro.The newspaper is in every community- in print and digitally. Thick or thin, the News & Record is an invaluable clearninghouse of news, information, events, and ideas. A newspaper is more than ink, paper, and coupons. It is a community's shared discourse. Papers give communities a common frame of reference and tell us what others deem important and newsworthy. Without a common source of printed information, a community struggles to define itself. As the younger generation goes digitial and seeks out their own, disparate news sources, we need to find a way to keep them informed about what is actually happening in their own community and from the perspective of people in their community- even if they disagree with the views presented. A local paper, printed or digital, grounds us to each other. The News & Record is more than the sum of its parts; it is Greensboro's ANCHOR. Today is ABC Wednesday and, X is for X-tra X-tra read all about it. We're asking you for a one day moratirium on saying "I saw on FACEBOOK...," and to use as your conversation starter, "I read in the News & Record, that......"
See our ABC Wednesday A-W neighborhoods of Greensboro, here. Well, it took us until "U" to hit a snag with our A,B,C Neighborhoods of Greensboro theme for ABC Wednesday. That we can think of, Greensboro has no "U" neighborhood. As a matter of fact, Greensboro only has 8 streets that start with the letter "U" (Ulster, Underwood, Union, United, University, Upland, Urban, and Utah). However, between Greensboro and High Point, we do have three universities, three community college campuses, and four colleges. So, with ten institutions of higher education, and a law school, not to mention satellite campuses from as far away as the University of Phoenix, we hereby dub today "university neighborhood" day. Colleges and universities are a vital part of our Greensboro community and their surrounding neighborhoods give students and faculty a place to work, live, and study that minimizes commuting time. The above photo, taken in the College Hill neighborhood at 1004 West McGee Street. Looking closely, you will notice that a building on the Greensboro College campus sits in the back yard of this 1922 house. When the college was established in 1838 on nearly 80 acres just west of downtown, the surrounding neighborhood was rural. UNCG was established in 1891 and by the time the house in the photo was built, College Hill was a true college neighborhood. The above home reflects that craftsman, bungalow style so ever-popular in the 1920's. So, dear readers, today is ABC Wednesday and "U" is for university neighborhoods, representing all of our many neighborhoods near our multiple campuses. From here to the end of the alphabet on the A-Z neighborhood round, we're going to have to get pretty creative. A-T were a little more straightforward. See the houses and read about those neighborhoods featured here. Tamannary Forest is a neighborhood that is almost a peninsula, with Lakes Townsend and Jeanette wrapping around it. Tamannary Forest is located directly across the street from Air Harbor Airport off of Air Harbor Road. One could land a plane and walk home in no time if living on the above property. This view characterizes the neighborhood. Homes, built from the mid 1980's to mid 1990's, are graciously large. Lots are nearly an acre in size and wooded, making the houses difficult to see from the road when leaves are on the trees. This time of year, however, views are memorable. Tree trunks and limbs cast long, reaching shadows over the forest floor- a place where fairytales look as if they could come to life. Technically, Tamannary Forest is not within the city limits so residents escape paying city taxes on these homes, which cost upwards of half a million dollars. Tamannary must fly under the radar, literally (airport) and figuratively, as virtually nothing is published about the neighborhood and not even the origin of the word Tamannary is not clear and there doesn't appear to be a neighborhood website. Regardless, it is lovely; today is ABC Wednesday and T is for Tamannary Forest. (Quickly scroll through A-S Greensboro here). Today's photo takes us to Madison Avenue in the heart of Starmount Forest. The scene evokes the feeling that.... all paths lead to home. Every house should have a proper entrance making it clear to the visitor where one enters and exits. There is no question about this charming cottage. Walk between the split in the stone fence, between the rose bushes, along the slate path, through the hinged, white picket fence, up to the wreathed door. Welcome! This house is so inviting and characterizes the charm of Sreensboro's Starmount Forest neighborhood. The Starmount Forest neighborhood bordered by West Friendly Avenue to the North and West Market Street to the South. It flows from West Wendover Avenue to Hamilton Lakes. One of its key features is the 150 acre Starmount Forest Country Club, located in the southwest quadrant of the neighborhood. The acerage is nearly 2 square miles, with a population of approximately 3,500 people. While some homes were built pre-1930's and and post-1950's; however, the bulk of the homes were constructed in the 1950's. Starmount is the Americanization of the name Stern (star) berger (mountain). The Sternbergers were early citizens of Greensboro and responsible for many of Greensboros fine properties. While our lovely home today is in Starmount Forest, and not in Starmount Farms, this article provides some interesting insight into the philanthropy of the Sternberger family. Today is ABC Wednesday. This round, we're featuring neighborhoods of Greensboro and S is for Starmount Forest. Greensboro has a Reedy Fork Trail, that parallels Reedy Fork Creek that is not too far from Reedy Fork Ranch. Reedy Fork Ranch is part of a 1,300 acre tract of land that was annexed by the City of Greensboro in the year 2000. A drive around the northeast Greensboro neighborhood reveals beautiful houses, like the one above, surrounded by several lots yet to have been sold. Nevertheless with a Community clubhouse built, city water and sewage, and a fabulous new elementary school in the heart of the neighborhood, it is likely that as the economy improves, so will the construction in Reedy Fork. To date, only 636 of the 3,000 plus houses have been built and they seem to be a tremendous money value. The motto for the community is "The Way Life's Supposed to Be." Unfortunately, Starmount, the development company behind Reedy Fork, has had to put much of it up on the auction block. Starmount also donated the land for the elementary school. If you are local and near Bryan Park, you should stop out yourself and see this community. Today is our neighborhoods of Greensboro series for ABC Wednesday, and R is for Reedy Fork Ranch. The above home, located at 3326 Quaker Run Road is a representative view of fall in Greensboro- porch lights on at dusk; a pile of leaves waiting to be jumped in and hauled away; hardwood trees without leaves; clusters of mums; a seasonal wreath; pumpkins on the porch; and gourds scattered all around. We can almost smell the mulled cider and cinnamon candles in the kitchen. The above home was built in 1990 during Greensboro's housing boom and during the time when construction in the Quaker Run neighborhood was well under way. Quaker Run is a neighborhood filled with street names relevant to religions getting their start in the 1600-1700's : Friendsview Drive, Meeting House Drive, Shaker Drive, and Puritan Drive. The neighborhood, located between Horse Pen Creek and Battleground at the point where it dips to about its lowest elevation. It is a cozy neighborhood of largely college-educated folks who work hard to keep the neighborhood nice. On the average, homes in this neighborhood are about the size of this gray-green beauty with colonial red shutters. Today is ABC Wednesday and Q is for Quaker Run. Most people playing Scrabble or alphabet games dread the letter Q; in Greensboro, we love it. We've got the largest enclave of Quakers outside of New England. Quakers were some of the first settlers in North Carolina as our state had established religious freedom in the late 1600's (reference). We also have the only Quaker-founded college in the Southeast United States. We also have the Quaker Acres neighborhood off of Friendly Avenue not too far from the Friends' Meeting House at New Garden and Friendly. Quaker history abounds in our area. The neigborhoods don't have a religious affiliation, but they do remind us of our Quaker heritage. And they do start with Q! Have a quiet, quality, post-election day. See A-P in our neighborhood series here. Today is ABC Wednesday and Pleasant Garden was chosen for the letter P. It is a 15-square mile town just southeast of Greensboro, located off of Highway 421 and just north of Hagan Stone Park. What is known as Pleasant Garden today got its start in 1786 when northerners established a Methodist Episcopal church there. This original church remains and, today, is known as Pleasant Garden United Methodist Church. Pleasant Garden is a town that thrives because of its many volunteers, one of whom has posted an informative history on the town's website. The above farm, land and outbuildings, is located on Pleasant Garden Road, at the intersection of Davis Mill Road- a little north of Pleasant Garden's town limits. While Pleasant Garden has plenty of modern homes, this farm evokes the feel of the traditional way of life the community saught to protect when incorporating in 1997. If you want to experience this sense of community, you have two opportunities this week. On Saturday, November 3rd, they are having a holiday craft fair at the Town Hall Picnic Pavilion, located at 4920 Alliance Church Road. A Veterans Appreciation Day Event will be held on Sunday, November 11th at 2pm, at the Pleasant Garden Fire Department. With a population of just under 5,000, you can bet that you will see a majority at these upcoming events. And, if you visit in spring, you will have the opportunity to see some pretty serious community baseball events. If you are following Greensboro neighborhoods series, see A-O here. Today is ABC Wednesday and O is for O. Henry Oaks. If you are local, you likely know that short story writer O. Henry is from Greensboro. The August edition of O. Henry magazine dedicated several pages to all things, locally, named in his honor. As the article points out, there is an O. Henry subdivision on Sidney Porter Drive, as well as an O. Henry Blvd. Additionally, there is a neighborhood named O. Henry Oaks. O. Henry Oaks is located from 16th Street to Cone Boulevard to Spry Street between N. O. Henry Blvd. and Yanceyville St. Page High School is near O. Henry Oaks. The neighborhood is one of the most racially balanced in Greensboro. Approximately 40% of the neighborhood is white; 40% black, 10% Asian, 7% Hispanic, 3% other. * Today's post takes us to 3419 Yanceville Street, the upper northwest corner of O. Henry Oaks, where a plane tail permanently dive bombs into the lawn in the front yard. Surely, were O. Henry alive today, he would write an interesting short story with one of his famous smile-with-tears endings. How did the plane land in the yard? Why is it still there? What story does it have to tell? Today is ABC Wednesday and O is for O. (gotta have the dot) Henry! Modeled after Pinehurst, NC, Irving Park is a Greensboro neighborhood that was built in the 1920's. The neighborhood's showcase facility is the Greensboro Country Club, where prominent families of Greensboro have been golfing, swimming, playing tennis, dining, and socializing for decades. As Irving Park became fully built up and somewhat landlocked, it was only natural for this wonderful place to be somewhat replicated and extended. New Irving Park begins at Cone Boulevard and, to the west of Elm Street, continues to Pisgah Church Road with streets named St. Andrews and St. Regis radiating off of Willoughby Boulevard. To the east of of Elm Street, New Irving Park extends to Abbotswood Senior Living Facility. The above house is located on the corner of Loch Ridge and Hillwind Street on the northeast corner of New Irving Park. It is representative of the homes in the Provincetown section of the neighborhood: two-story, brick homes with modest, well-landscaped lots. We decided to take advantage of the fact that the above lawn was being re-landscaped and a clear view of the house was available. We were thrilled that a father-daughter running team came along as we were on the photo shoot as New Irving Park is a place where families spend time together enjoying each other's company. Today is ABC Wednesday and we're getting close to half way through our A-Z neighborhoods of Greensboro series. See A-M photos here. McAdoo Heights is a neighborhood located just south of State Street, between Elm and Church Streets, on the fringe of Old Irving Park. It was developed in the early 1900's as a commercial and residential community for mill workers. The close-knit community, known as a "town within a city," flourished until the 1940's (reference). It had restaurants, a hardware store, grocery stores, a movie theater, a school,many churches, and its own police officer. Street names include: Golden Gate, Newlyn, Macy, Bernard, Roseland, Buffalo, Georgia, Palm, and Shelton. In earlier years, it was also known as "The Heights." As we drove around this neighborhood last weekend, we did get a sense of the charm of McAdoo Heights. The community garden, on Golden Gate Drive, is just lovely. Many houses are decorated for Halloween and and, the day we were there, several families out enjoying the fall afternoon. The above house, at 200 East Newlyn Street is larger than many of the one-story mill houses in the neighborhood. It was built in the 1928, also a little earlier than many in the neighborhood. The high triangles of the peaked roofline at the entrance are quite welcoming and the light blue door makes it clear where one it to enter. We'd like to think it has the character of an "anchor" house for the neighborhood the way it stands, in all its glory, on the corner of Georgia and East Newlyn. We wonder if there is a connection between McAdoo Heights and the retired, professional basketball star, Bob McAdoo who is from Greensboro. He graduated from Smith High School (in the late 1960's) and is currently an assistant coach for the Miami Heat. Maybe Coach McAdoo is the keeper of some great information about this cozy little neighborhood with his same name. Any and all pieces of information would be greatly appreciated. Today is ABC Wednesday and M is for McAdoo Heights. For our A-L neighborhood pages, look here. Today is ABC Wednesday and for this round, we're featuring neighborhoods of Greensboro. For "L," we have Lake Jeanette, Latham Park, and Lindley Park, and likely a few others. We selected Longview Hills because we knew very little about the area and wanted to learn more. Longview Hills is a tiny neighborhood, less than a quarter of a square mile in size with a population of almost 350 residents. The neighborhood, extensively developed between 1970-1990, is built on what seems to have been farmland in a part of town that was a large Quaker settlement. The neighborhood has residents with above-average (for Greensboro) rates of bachelor's and master's degree. The neighborhood is close to Guilford College. Longview Hills is located just off Ballinger Road between I-73 and New Garden Road. It is a stone's throw from Friends Home and Arcadia Drive. Buckhorn Road, Gretchen Lane, King George Drive, and Wakefield Place are also part of this neighborhood. We are actually cheating a little bit as the above property is located at 1100 Rustic Road and Rustic is one street beyond the perimeter of Longview Hills. However, the property, built in 1955, is such a beauty and has probably the best view in the city of Longview Hills. Rustic Road actually becomes Arcadia at the bend in the road, just after this house. Also part of Arcadia runs through Longview Hills. We are intrigued by how these neighborhoods of Greensboro got their names and the extent to which the residents see the neighborhood a cohesive entity. The bridge is being rebuild at the Lenord Recreation Center end of the neighborhood; so don't plan on using it as a cut-through! Today's neighborhood visit takes us deep in the heart of Kings Forest of northeast Greensboro. Lord Foxley Drive, featured above, is located off of Phillips Avenue near the juncture where it becomes Huffine Mill Road. Sandwiched between Woodbriar Estates and Nealtown Farms, the boundaries of Kings Forest extend from Phillips Avenue in the south to just beyond Old Hickory Drive in the west and Sir Galahad Road to the east. Close to 3,000 people live in this .373 square miles of neighborhood. Kings Forest was developed primarily in the 1960's and 1970's with almost no houses older than 1950 or newer than the late 1990's. While the above homes may be on the newer side for the area, they are indicative of the great care that homeowners take in this neighborhood's houses and lawns. The street signs in Kings Forest read like the nooks and crannies of a Renaissance festival: King Arthur Place, Sir Galahad Road, Prince Charles Drive, Larchmont Drive and Lord Foxley Drive. Foxley is a village in the county of Norfolk, England, known for having an ancient woodland believed to be over 6,000 years old and dating to the end of the last ice age. * One can only imagine the trees that were in Kings Forest before the area was developed. Kings Forest is an example of a neighborhood we wish had more written about it. "Whosoever dubbed the neighborhood Kings Forest?" beseech the keepers of Greensboro Daily Photo. We're sharing this post with our dear friends at ABC Wednesday as part of our ABC Neighborhoods of Greensboro series. Today's letter is "K" for "Kings Forest." Enjoy our featured A-J neighborhoods here. And the quest for L-Z begins now! Jefferson Gardens is a neighborhood located off of Jefferson Road, between Friendly Avenue and Hobbs Road. The above house is located on Hayfield Lane; perhaps there was a hayfield here before the house was built in 1972. This neighborhood backs up to Price Park and to 240-acres owned by Guilford College. The natural area behind the houses of Jefferson Gardens attracts plenty of wildlife. As you can see, on the day we were photographing the neighborhood, a wild turkey walked out of the woods and was hanging out on Hayfield Lane. Residents say the turkey thinks it is their pet. Jefferson Gardens is only made up of six main streets (Hayfield Lane, Broadmoor Place, Thorncliff Drive, Elderwood Place, Ainsworth Drive, and Bennington Drive- the main artery) and a few cul-de-sacs. The small neighborhood, with one way in and out, is fairly quiet eleven months a year. Come December, Ainsworth Drive is ablaze with a multiple-home display of Christmas lights and decorations. People from miles around make an annual tradition of driving by and enjoying the festive street. Today is ABC Wednesday and J is for Jefferson Gardens. View our A-H neighborhoods here. The Irving Park neighborhood, located just north of Downtown Greensboro, was a 350-acre project created by the Southern Real Estate Company at the beginning of the 20th century. * From Mr. and Mrs. Joseph M. Bryan and Alfred M. Scales in the past, to entrepreneurs and business owners today, Irving Park has been home to some of Greensboro's most influential residents. At the center of this prestigious neighborhood is the Greensboro Country Club. The above Irving Park house, located near the country club on Country Club Drive, overlooks the club's immaculate and spacious golf course. It has plenty of acerage, square footage and impeccable design. It exudes Irving Park charm. The residents of this home must feel like they are living in the Pantheon or some other ancient, magnificent structure. Today is ABC Wednesday and for this round, we're featuring the neighborhoods of Greensboro. I is for Irving Park, Old Irving Park. See A-H neighborhoods, here. Country Club Drive is the street featured with yesterday's walkers; exempifying the fact that even in Greensboro's neighborhoods with giant homes, people find a way to build a sense of community. * Fripp, G.(1998) Greensboro Neighborhoods, Volume II, p. 68. Today is ABC Wednesday and H is for Hamilton Lakes, a community established in 1920 and now part of the City of Greensboro. Hamilton Lakes was founded by Greensboro developer A.M. Scales, who moved from Irving Park to Hamilton Lakes. He not only developed this "streetcar suburb," he served as its first mayor. The earlier homes, like the one above [circa 1925], were built in the grand style of homes in Scales' beloved Irving Park. However, during and after World War II, new construction in the neighborhood was significantly more modest. While differences are extreme, the beauty of Hamilton Lakes is that residents in all price points take great pride in the community and collectively maintain the nature trails, lakes, and other community-use spaces. Hamilton Lakes was annexed by Greensboro in 1957; however, a strong neighborhood association helps maintain the neighborhood's identity. The above home at 104 Kemp Road West, built in the Mediterranean-style, likely acquired its terra cotta roof tiles from nearby Pomona Terra Cotta Works, a now-defunct, early 20th century Greensboro business. We absolutely love this house and so must its owners; because, if online records are correct, they have lived in it since 1976. Here is our previously-published photo of the 11,000 square ft. Scales home and the Morton House, down the street from the above home. Also, yesterday's photo was taken in Hamilton Lakes on Lake Hamilton. See another photo taken in the neighborhood. We can bring you dozens of photos; however, nothing can capture the sensation of walking the trails of Hamilton Lakes, especially once the leaves start turning color. See our previous A-G neighborhood features here. Today is ABC Wednesday. This round, we're featuring A-Z neighborhoods of Greensboro and "G" is for Guilford Hills. Guilford Hills is the area just west of Battleground Avenue and north of Green Valley Road. Women's Hospital, Earthfare and the Elks Club are a few of the many well-known places in Guilford Hills. The northern border is David Caldwell Drive and the westernmost street is Benjamin Parkway/Bryan Boulevard. (Remember, neighborhoods have, in most cases relatively-arbitrary borders, or "logical borders" like that grand of highway known as Bryan Blvd.). Guilford Hills is actually less than one square mile and has less than 2,000 people living in it. Many of the homes in this neighborhood were built in the 1950's and 1960's. Built in 1954, the Fortune Lane home above, is no exception. It is a good example of the sensible coziness of the homes in this neighborhood. Guilford Hills is a quiet neighborhood. The houses make great starter homes as well as great "downsize" homes, as evidenced by the demographics being highest at the near-30 and near- 70-year-olds populating this neighborhood. An older, GDP reader once told us that he used to ride horses on his friend's farm in Guilford Hills. Can you imagine that less than 70 years ago this area was farmland? What will it look like in another 70 years? A younger reader told us her family relocated there to be closer to General Greene Elementary School and because it is one of the most affordable neighborhoods districted for Grimsley High School. Cross Battleground Avenue and you are in Pirate Country (Page High School). Here is an apartment complex, a Sunday/religious photo, and a side-of-the-road garden we featured previously in Guilford Hills. A Guilford Hills home was long overdue! Today is ABC Wednesday and "B" is for "Brown Town." The Brown Town neighborhood is located at North Elm at Cone Boulevard and backs up to Kirkwood and Irving Park. * This part of town is called Brown Town because it was developed by the Brown Corporation- in the 1950's. Recently, there was momentum for Brown Town to pursue a Neighborhood Conservation Overlay (NCO) designation. ** The purpose of an NCO is to ensure that a neighborhood maintains its unique characteristics and that structures built are compatible with the character of the neighborhood. While the designation is less restrictive than "historic district" , NCO's can help build a sense of communty in a neighborhood. This drive was partly due to the controversy over what would be (torn down and) built at the northwest corner of Cornwalis & Elm. Now that the former structure has been removed and the new one is in place, the momentum for the overlay seems to be diminished. Did you know that, unless there is some designation that affects zoning, the city doesn't determine or outline the boundaries of a neighborhood. Some properties are clearly in a given neighborhood and others are more ambiguous. The above house, located at 2304 Danbury Road, is a real gem and the recent landscaping and renovations give it real curb appeal (see before here). It has a more modern look than many of the houses in the neighborhood. It is one of the few houses in Brown Town that isn't hidden by mature bushes and trees and, therefore, it is easy to photograph. Follow our ABC Neighborhoods series here. We're hoping that O. Henry Magazine or the News & Record or Our State Magazine will research and write about Brown Town. As a matter of fact, we still need to settle the issue of whether this house on Danbury is in Brown Town or Browntown! ** see information and data collected for Brown Town's possible NCO here & here. Today, Round 10 of ABC Wednesday (one of our favorite memes) comes to a peacock-screeching halt with Z is for Zoo. People around the world who "play" will be posting their favorite "Z" photos. We're sharing the not-so-original "z" is for "zoo." * Actually, this photo wasn't taken at the zoo in Asheboro (also a worthy cause) but at the zoo/animal discovery portion of Greensboro's Natural Science Center. Roaming peacocks evoke memories of the Old South and they are a fun addition to the grounds of the Natural Science Center. In Hinduism, peacocks represent benevolence, patience, kindness, compassion and knowledge (Wiki). If you are lucky, one of these regal, terrestrial feeders will give you a private tour of the gounds. Greensboro's science center has grown by leaps and bounds over the last few years. Currently, it is undergoing yet another growth spurt. It just keeps getting better and better and the zoo portion of the facility is included in the price of a general admission ticket! Everything from a Wallaby Walkthrough to tamandulas, giant tortises, maned wolves and giant anteater to tigers are waiting for you to admire (zoo info here). By 2013, we'll have a SciQuarium with yet more animals. As you can see from the red building to the left, the Y is landlocked. It needs to expand, but NCA&T University is all around the facility. The Hayes-Taylor has just cleared a zoning hurdle for opening a facility down the road at Barber Park. In addition to a larger building, they want to expand services, including adding athletic fields, increase parking, and double capacity for people working out. The next hurdle for the new Y facility would be to secure 7 million in funding, which, if you think about it, is a nano-drop-in-the-bucket when you consider The Joint School of Nanoscience and Nanoengineering & Gateway Gardens projects cost over 64 million dollars. At any rate, even without a one-man benefactor like Ceasar Cone, Greensboro will find a way to get this new Y built. As a community, we're like that. We find a way to realize our dreams. Today is Wednesday and Y is for the Hayes-Taylor YMCA, the Y in our 2012 series on A-Z worthy causes and noteworthy issues of Greensboro. Since it is so close to the Fourth of July, we've decided to post an exploding firework today. Today is ABC Wednesday and we're using the fireworks for X for several reasons. First, this is the a photo from 2010, the last year Greensboro's fireworks display was to be held at Grimsley High School. The school got X-ed as a venue and we now gather at the Coliseum complex on High Point Road. Also, X can serve as a signature on a document as proof of identity and intent. * Recently, there has been press about Greensboro's non-profits being overwhelmed for the need for food. Local non-profits are stretched financially with so many children out of school and needing food, other basic needs, and activities to keep them busy. Please consider putting your X on a check and donating immediately to your favorite local charity. For this whole round of ABC Wednesday, we've featured ABC causes and non profits of Greensboro. X is for those 'xploding fireworks and letting the sky (and your financial resources) be the limit on your donation of money, food, or time to the non-profit of your choice. Today we bring you what appears to be a light blue, 1986 Chevrolet Caprice* along Martin Luther King, Jr. Boulevard during the MLK parade. The sign on the outside of the car is celebrating the Warnersville community. Warnersville, Greensboro's oldest African-American community, is a mere .277 square miles in size with a population of 896. It was established by former slaves in 1867, just after the Civil War, on land sold to them by a white Quaker, Yardley Warner. Today, approximately 80% of this neighborhood remains African-American (reference). Just under half of the residents in this neighborhood are women and 36.8 percent of the households in this neighborhood are single-mother households. 39.5 percent of the women in this neighborhood have sales and office occupations. The women of Warnersville work very hard at taking care of their children and providing for their households. Additionally, they work to promote their neighborhood. We're sure there are great men in Warnersville, too; however, today is ABC Wednesday and "W" is for Warnersville and the women of Warnersville- one of whom was riding in the Buick above. This round of ABC Wednesday, we're also mentioning causes to accompany these Wednesday posts. If you wanted to contribute to the Warnersville community, you could consider donating time and/or money to Jones Elementary or to Warnersville Recreation Center both of which have served the community for a very long time. *Thank you, reader, Fred Robbins, for identifying this vehicle for us. The above photo was taken at Art Quest which is part of Green Hill Center for North Carolina Art in the Cultural Arts Center on Davie Street. * Art Quest is a hands-on haven for creativity for children and adults alike. Some of the stations at Art Quest include a clay area, a puppet theater, a fiber space, and the very wonderful painting station featured above. The heavily-painted easels at the painting station are located in the back room. The letters, above the easels, spelling NC ART, are made of recycled materials: As examples,"A" is scraps of moulding, "R" is #2 pencils glued onto a piece of cardboard, "T" is wound yarn. Today is ABC Wednesday and the letter of the week is "V". For this round of the alphabet game, we're featuring "causes" relevant to Greensboro and "V" is for "visual arts." Greensboro abounds with non-profits committed to bringing art to those who might otherwise not be able to afford it. If you are local, head down to Art Quest and have a chat with the curator, Edie Carpenter and learn about all of the local artists who collaborate in the space. If you love art, you'll have trouble resisting becoming a member. *Monday, we featured Roy Nydorf's exhibit at Green Hill, next door to Art Quest. Today is ABC Wednesday and U is for The United Way Agency of Greater Greensboro. Above, we share another photo of Saturday's Mosaic Festival in Festival Park on the northern edge of the Davie Street Cultural Arts Center. Even though the festival was not a United Way event, per se, it is highly likely that the lives of many people in attenendance have been touched by the United Way. The agency is committed to to ensuring that the youth of Greensboro have a successful school experience. They work hard to help with the basic daily-living and educational needs that help with the achievement gap. The United Way provides families with affordable, quality child care. The United Way also helps with financial stability and health care, making it an agency that serves people from cradle to grave. The United Way tries to keep individuals and families from experiencing crises and they are a key point of assistence when a crisis does arise. With summer vacation starting on Friday for most of the Guilford County school students, we know the United Way funded summer programs are well positioned to help Summer 2012 be fun and productive! U is for the unbelieveable, unbeatable, unyielding UNITED WAY! Today, we are at Guilford College celebrating ABC Wednesday. After reading the article in Sunday's News & Record by Guilford College President Kent Chabotar, we were inspired to use Guilford College to represent "tolerance." Chabotar, who has been president and professor of political science at Guilford College since 2002, reminds us that the college's Quaker founders risked so much to promote peace and tolerance. He also quoted President Kennedy, saying that "(t)olerance implies no lack of commitment to one's own beliefs. Rather it condemns the opression or persecution of others." Increasingly, it is getting harder to find people who tolerate people with beliefs other than the ones they hold. We are a society dichotomized into democrats/republicans; liberals/conservatives; on and on. Chabotar says that to promote diversity of ideas, you need to "(t)hink it possible you might be mistaken" and we need to "(p)rotect the rights of others to be different." Finally, he quotes Voltaire about dissent: "I do not agree with what you say, but I'll defend to the death your right to say it" (N&R, 5/27/12, p. H3, col. 3). As Greensboro becomes increasingly diverse, how can we maintain that core Quaker value- TOLERANCE? Thank you, President Chabotar, for getting us to ponder: TOLERANCE. The term "senior" has many shades of meaning, ranging from an elderly person to a person who has the longest tenure to the elder of two people (or more) with the same name. Mayor Pro-tem Yvonne Johnson, photographed above in her signature purple suit, is a Greensboro senior par excellence. She is a senior member of Greensboro's City Council. She has served as mayor, mayor pro-tem, and councilperson on and off (mostly on) in Greensboro since the early 1990's. The News and Record refers to her as a steel magnolia; she is known to be tough, but fair. Ms. Johnson, in her late 60's, has a softer side. She is known to hug just about everyone within range in the wake of not only a personal accomplishment, but also for any great victory for Greensboro. The day she was photographed above, the dedication of the Downtown Greenway, she was out supporting the artists, financial backers, and citizens-at-large at this community-building event. She is one of Greensboro's greatest supporters. Although she is one of our elders, she works tirelessly for the youth of Greensboro, too. Personally, one of our favorite causes for seniors in Greensboro is The Shepherd's Center. They are dedicated to helping older adults pursue independent and active lives of purpose. If she is not already involved in Shepherd's Center, she would make a great member. Today is ABC Wednesday and "S" is for "seniors." Today is ABC Wednesday and our causes for "R" are the three green R's: Reduce, reuse, recycle. If you want to reduce the clutter in your life, there is no better place to take items than the Salvation Army Family Store at 307 West Lee Street. If you are not against reusing clothing, the Salvation Army has plenty to choose from among the racks. Recently, the store got a face lift and it is clean, bright, and well organized. Clothing is sorted by color and type. All clothing is $2.50, unless is is on the half price rack at $1.25, a real bargain by thrifting standards. The Salvation Army does so much for the Greensboro community* and Greensboro's own Mr. Peter Vanstory served on the board of the Salvation Army for over 35 years. Even though it is a national organization, when you work with the local branch, it feels very local. Even if you don't shop thrift stores, you owe it to yourself to donate goods there. If you have time, stop in and say hello to the people working the counter. They are kind, gentle, humble people. If you never get downtown, consider their upscale, Lake Jeanette location. How about from now until at least the end of the month, let's all reduce and recycle at least once! Inquiring minds want to know. The little girl with headphones on is adorable, absorbed in her e-reader, reading up a storm. What questions do you think she has? What text has her so engrossed? Ironically, the WORLDBOOK encyclopedia set, above her head, rests, languishing on the shelf of the Benjamin Branch of the Greensboro Public Library. * But, the electronic media has the full attention of both child and adult. Today is ABC Wednesday and "Q" is for questioning. Today is also National Children's Mental Health Awareness Day and we have to ask: Why is it that we need such a day? What are we doing to our children to cause trauma, stress, and depression. Why can't all of our children have lives like the happy, well-cared-for, intellectually engaged child in the photo above? If you can do any little thing to help make a child's life more peaceful, beautiful, safe, and secure, you will be helping not only the individual, but also the world. Through questioning, we will find answers..... and hope. *Fortunately, the digital version of WORLDBOOK is getting more use. It is even bundled on the Apple OS X. Today is ABC Wednesday and "P" is for "poverty." Here we see a woman carrying her possessions from Point A to Point B in a shopping cart. She was on Lee Street a couple of months ago when it was still really cold outside. She was traveling slowly but making great strides. Urban Ministries and the Salvation Army are located in this general vicinity and both of these organizations work very hard to help people in need. Since these great organizations are nearby, it is not uncommon to find people who are experiencing great financial and emotional hardship in this part of town. Nearby Grace Community Church does their fair share to help, too. In 2009, 20% of Greensboro residents lived below the poverty level, which is higher than the state average. 59% of our poor families were women with no husband present. By age, residents in the 18-24 year-old age group was the biggest group. The next largest group was children under 5 years (reference here). Greensboro is lucky to have an opera. Unfortunately, as of September 15, 2011, Greensboro Opera is staffed exclusively by volunteers. They no longer have an executive director (Barbara Peters) or a company manager (Elena DeAngelis). The date of the last eNewsletter, coincides with their last days at work. Last year, at this time, eNewsletters were still being published. There is a luncheon event tomorrow at the Greensboro Country Club Pavillon, related to opera action and fighting on stage. Let's hope they can generate revenue so that Greensboro can continue to have an opera. They want to have a production November 2012; however, it would cost $160,000 and the board anticipates that they would only sell $50,000 in tickets*. We can't imagine our city without the quality, full operas with live music. We also hope they can maintain their program of performing for fifth graders at the Guilford County Schools. The Greensboro Symphony Orchestra seems to be doing a little better, financially. They still have confirmed events on the 2012 calendar. The symphony orchestra presents so many outreach and education programs, bringing live, classical music to a generation that might otherwise never hear it. The conductor, Soviet/Russian-born Dmitry Sitkovetsky works tirelessly to generate interest in the orchestra's performances. He collaborates frequently with his mother, pianist Bella Davidovich. His mother draws quite a crowd when she performs with the Greensboro Orchestra. We are lucky to have these talented musicians in a leadership role in our community. The Greensboro Orchestra traces its roots to the 1920's. In the photo above, the acoustic, upright bass, and the mask peeking out behind it, belong to a Greensboro family that loves all of the live performances in the Greensboro community. Today is ABC Wednesday and O is for opera and orchestra. *reference and read more here. The Center for New North Carolinians, located at 413 South Edgeworth Street, strives to "build bridges among immigrant populations and existing communities throughout the state of North Carolina*." The center was estabilshed in 2000, an outgrowth of a "Task Force on Outreach to New North Carolinians" that was created by Chancellor Patricia Sullivan in 1997 at the University of North Carolina Greensboro. The task force determined that our newest North Carolinians needed access to education, job training, medical and social services (more on history and mission here). The Center for New North Carolinans is a great resource not only for refugees but also for community members and organizations that want to have a better understanding of how to better serve our newest residents. The Center is also a great clearinghouse for data and resources. While the Hispanic/Latino community increased over 400% in a decade, according to the 2000 census, there are over 180 home languages other than English in North Carolina; so the social, linguistic, and cultural needs and issues are many. In addition to many other ethnic groups, our region contains the largest population of Montagnards outside of their Central Highlands homeland in Vietnam. The very capable Dr. Raleigh Bailey was the above center's first director. While the building has a for lease sign on it, there is every indication that the center and the AmeriCORPS access program are still on site. Perhaps they are just renting part of the space inside. If we learn the center is moving, we'll let you know. Today is ABC Wednesday and N is for New North Carolinians. For this round of ABC Wednesday, we are featuring causes of Greensboro and our immigrant community is one worth featuring. All of us in North Carolina, except perhaps our Native American residents, have immigrated at some time. *reference and additional information here. Today is ABC Wednesday and 'M' is for 'music'. Local musician Laurelyn Dossett makes beautiful music! Laurelyn performs weekly at Lucky 32 Restaurant. Each Tuesday, in addition to their regular menu, Lucky 32 serves up a traditional, southern meal of fried chicken, mashed potatoes, gravy, cornbread, and collards. Nothing goes with fried chicken better than Laurelyn's clear voice and acoustic music. Laurelyn has gained national attention for her local projects, grounded in the lore of North Carolina. In the above photo, Laurelyn, Scott Manring and Molly McGinn are performing the "Vote Against Amendment One" song. Listen to it here on Monkeywhale Productions' website. From Rabbi Guttman to Mayor Robbie Perkins to restaurateurs Mr. and Mrs. Quaintance, many prominent citizens of Greensboro appeal to voters to vote against Amendment One on May 8th. Read about Amendment 1 here. Today is ABC Wednesday and L is for land. Above, we see Guilford College's resident farmer, Korey Erb, in one of the school's greenhouses. Korey was showing us all the green leafy vegetables that are thriving in the greenhouse. Two rows over, lettuce and tomatoes are growing side by side as they are compatible crops. The greenhouse itself is a high tunnel or hoophouse construction. It is an unheated and is very helpful in extending the growing season. Beside the greenhouse, Guilford College also has an outdoor garden, known as the Production Garden. The Guilford College Production Garden provides food for Guilford College and helps lower the school's carbon footprint. Since its beginning, in 1837, stewardship-- the planning and managing of resources-- has been at the core of Guilford College. Production Garden is one great step in the direction of self sufficiency. According to Korey, the goal of the garden is to "create an on-campus, large-scale garden that’s financially self-sufficient, productive, [that] can serve as an educational tool and community builder, and is sustainable.” Erb goes on to explain, "sustainable farming is all about building the soil, growing the soil and reaping the benefits from that. It’s a little tricky, and requires tons of patience early on. But in the long run it’s healthier for the ecosystem, you’re going to get better products out of the soil, and you’re naturally replenishing the nutrients that the crops take out of the soil" (reference here). Greensboro is lucky to have Guilford College in its back yard, and Guilford College is lucky to have the Production Garden and all of the wonderful people like Korey who work tirelessly to build community and to nurture the land. L is for land and love of land, the cause is sustainable agriculture and lowering the carbon footprint! The above photo was taken in the children's section of the Benjamin Branch Library. The Benjamin Branch was named for Ms. Blanche Sternberger Benjamin. Mr. and Mrs. Benjamin and her parents, the Sternbergers, were great philanthropists in Greensboro. Many of the Sternbergers' projects and donations, Sternberger Elementary, Sternberger Park, The Junior Achievement Property, to name a few, help the children of Greensboro. Benjamin Branch Library is located at 1530 Benjamin Parkway. Recently, this branch has undergone renovation. While tiny, it is a vibrant, warm, and inviting place with easy access to technology. The library, located across from General Green Elementary School, remains busy, especially after school. The young fellow in the photo above was trying to trace the origin of a barking dog recording with his family smiling nearby. The adults who were tutoring (just beyond the camera lens) were slightly less amused at the barking dog recording! 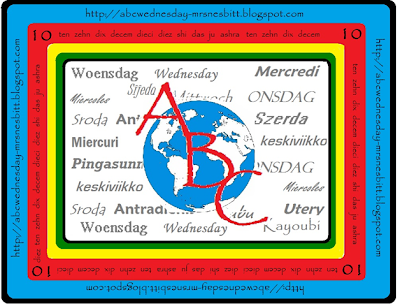 Today is ABC Wednesday and K is for Kids. If you are looking for causes to help the children of Greensboro, your options are many. For as little as $10, you can become a Friend of the Greensboro Public Libraries (join here). The United Way of Greensboro does a great deal to help our children. Just about any school or church can connect you with ways to help the youth in our community. Finally, if you are interested in bringing a child to our community, Carolina Adoption is a great place to start. This is our ABC causes of Greensboro series. See also ABC People and ABC streets. Juvenile Diabetes, or Type 1/insulin dependent diabetes, usually presents itself before age twenty. Diabetes affects the body's ability to use glucose. In healthy bodies, insulin-- a hormone-- helps glucose enter cells where it is used for energy. The above photo, taken at the Reenactment of the Battle of Guilford Courthouse, is somewhat misleading as being overoverweight and eating excessive fat and sugar is not a cause of juvenile diabetes. However, a balanced diet and weight control are helpful for diabetes management. * Additionally, avoiding empty calories and excessive caloric intake does help prevent Type II, adult-onset diabetes which is presenting itself in younger and younger children. The Center for Disease Control and Prevention in Atlanta estimates that one in three children born in the year 2000 or later will develop diabetes at some point in their lifetime (reference). As a society, we have got to do a better job of modeling healthy eating for our children; seeing that they eat nutritious food, exercise, and maintain a healthy weight. We're sharing today's post with ABC Wednesday and our cause for J is Juvenile Diabetes. Consider getting involved with or donating to the Juvenile Diabetes Research Foundation (JDRF). * Get more information on diabetes, from a local Guilford County source here. If you are interested in the cuisine of the original 13 colonies, start here. Today's photo takes us to Lonnie Revels Greenway, the section of Freeman Mill Road between Spring Garden Street and Florida Avenue that is named for Lonnie Revels (1935-2003). Revels, originally from Robeson County, was a lifelong advocate for American Indians in North Carolina. He fought tirelessly, seeking national recognition for the Lumbee Tribe. While North Carolina recognizes Lumbee as a tribe, the federal government does not. From 1790- 1870, through the US Civil War Era, the Lumbee were classified as "free other", "free colored", and "free mulatto" (reference). By 1885, North Carolina recognized them as Indians. However, not having federal recognition as a tribe prevents them from receiving federal services. Mr. Revels graduated from Wake Forest University in 1958, served in the U.S. Army in the 82nd Airborne Division out of Fort Bragg, married his high school sweetheart, and moved to Greensboro in 1961. Here, he owned a printing company, while remaining active in issues related to Indian/Native American Affairs. Nationally, Revels was appointed to the Civil Rights Commission of the U.S. Department of Agriculture by President Nixon. At one time, he was the senior member of the Commission of Indian Affairs in North Carolina. Locally, he was elected to Greensboro's City Council in 1985. He was the District 15 representative for the Lumbee Tribal Council. Mr. Revels was a founder and board member of the Guilford Native American Association (GNAA) which continues to serve over 5,000 Native Americans in Guilford County. The GNAA sponsors a pow-wow annually. While Mr. Revels has been deceased for eight years, his civic involvement will be remembered for years to come. As we look at this little section of Freeman Mill Road, we can only imagine the thoughts that weighed heavily on Mr. Revels' mind as he was commuting on this road between Greensboro and his home community-- Pembroke. Today, we remember Mr. Revels' cause-- for the Lumbee to become a tribe, and respectfully submit for ABC Wednesday, I for Indian. Mr. Revels had great respect and love for the land. It is fitting that a little sliver of land with blossoming trees, sandwiched between ribbons of asphalt, be named in his honor. Today is ABC Wednesday and this round we are featuring causes. 'H' is for 'homelessness'. One can't assume that the man in the photo is homeless; however, pushing a shopping cart full of clothing down the main street of town indicates that, likely, this man is in need. When we were photographing on Monday afternoon, it was extremely windy. The man would push his cart forward a few steps and his hat would blow off of his head. He would chase it back for half a block and then walk on to retrieve his cart. Seeing this process, time after time, until he finally gave up on wearing his hat, painted a perfect picture of his life-- arduous. To walk a mile in his shoes would be to see just how hard one works to live out of a cart. Greensboro organizations that work hard to help the homeless are Urban Ministry, the Homeless Prevention Coalition, and Partners Ending Homelessness. Acording to a News & Record article last year, Greensboro is making headway on reducing homelessness (more here) and we have a ten year plan for ending homelessness. However, current data reveal the number of homeless public school students has increased by 48% since 2008. Can you imagine helping your child do homework living un an abandoned building? Can you imagine which of your possessions you would keep should you have to limit your belongings to that which would fit in a cart? If you are in a position to help, those well-established organizations, like Urban Ministry or the Salvation Army, are sure bets to stretch your donation dollars for the homeless. Today, we're going green with a seafoam-green scooter in front of UNCG's Brown Building on Tate Street. On nice days, this perky, Buddy 50 scooter is spotted out and about in Greensboro. For driving around town, running errands, coffee-shop meet-ups, or heading to class, this little-engine-that-can is very practical. The top speed is 30 MPH and it can get up to 100 miles to a gallon of gas, making it very environmentally friendly. If you calculate your carbon footprint (here), and can factor a scooter into the equation, your annual emission will likely be low! One definition of carbon footprint is "the total set of greenhouse gas (GHG) emissions caused by an organization, event, product, or person". * There are carbon footprint reduction programs (see this one, for example) and at least one Greensboro business has achieved certification for reducing its carbon footprint-- BounceU. Wouldn't it be nice to get more local businesses working actively on reducing their carbon footprint. It is ABC Wednesday and "G" is for going green! We think we'll run over to Scooter Nerds on Battleground and test drive a Buddy 50! Above we see a photo of Workout Anytime, located between Cook-out, Krispy Kreme, and Maxie B's on Battleground Avenue. Workout Anytime is one of those stores catering to the latest fitness trend of working out anytime; that's 24/7-- 365 days a year. Regardless of what time you go to or leave work, you can stop and exercise. On their website, this franchise doesn't say how long they have been in business, but they do mention their owners have a combined 40 years of experience in the industry. According to the state data on death rates from heart disease, Guilford County fares pretty well. The state rate is 439 deaths annually related to heart disease per 100,000 people; the county rate is 368-411 per 100,000. Except for neighboring Caswell County, counties in the Piedmont/triad/triangle area are heart healthier than the North Carolinians living in the he coastal region. Perhaps we are more diligent about exercising; perhaps we eat less fried foods. At any rate, we seem to be doing something right. Today is ABC Wednesday and for this round, we're featuring causes. Today's cause is F, for fitness. If you want a non-profit related to fitness, there is always the option to join the YMCA. Additionally, on Saturday, March 31, 2012, Greensboro will have a great health and fitness event, a 5K charity walk/run where participants get to raise money for their favorite charity. You get to work on your heart health at the Human Race event while your favorite non-profit gets a little money for their coffer. How do you keep your heart healthy? What do you do to help others stay healthy? Remember, February is National Heart Health month and F is for fitness! The vacant 1.3 acre lot at the corner of East Lee and Arlington Streets is a diamond in the rough, waiting to become a park under the dutiful watch of the Piedmont Land Conservancy. Musikgarten founders, Lorna and Herman Heyge donated the land to Greensboro's Parks and Recreation Department. You see the Musikgarten building peeking out in the upper right corner. An easement to Piedmont Land Conservancy will ensure that the park remains a natural setting with paths, benches, and a children's garden with a water feature. While the land looks a little scruffy in its "limbo" state, at least it has been cleared and is ready to be converted into a park. If you are local, perhaps you recall the time an old gas station was located here. D.H. Griffin helped clear the land by hauling away 80 dump-truck loads of old concrete and road material from the property (for free!). We hope the park will become a reality soon. Perhaps the pink survey strips surrounding the property are a sign that something is about to be done with the property. When this property becomes a park, the entrance into Ole Asheboro will have quite a facelift and the environment will be improved aesthetically and conserved in a way that benefits all of Greensboro's citizens. Today is ABC Wednesday and E is for Environment and an organization helping with that effort if the Piedmont Land Conservancy.